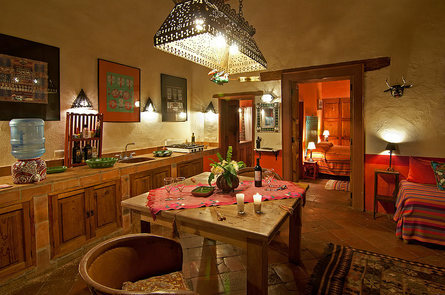 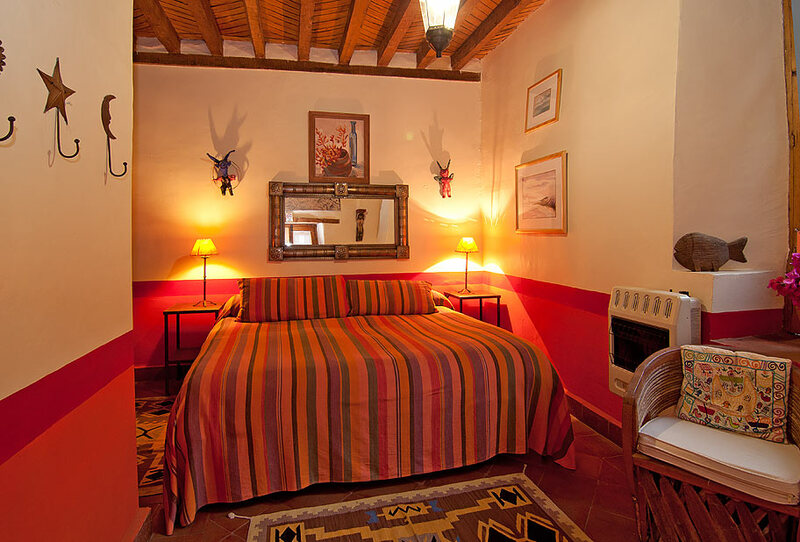 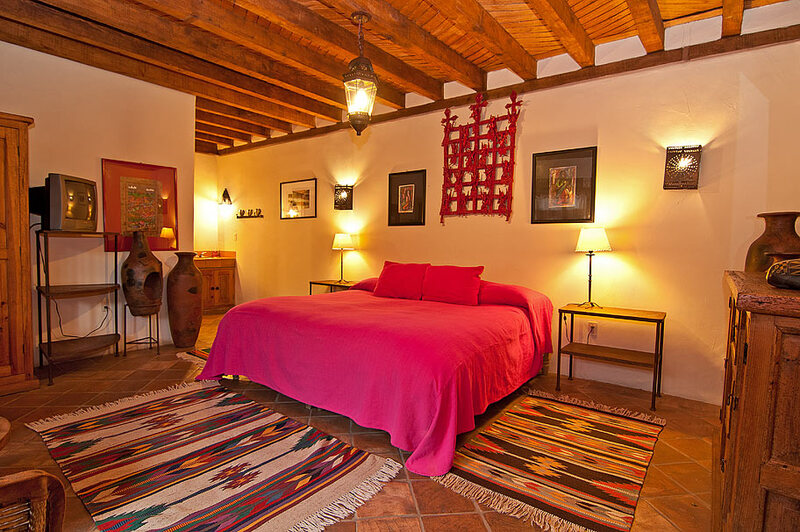 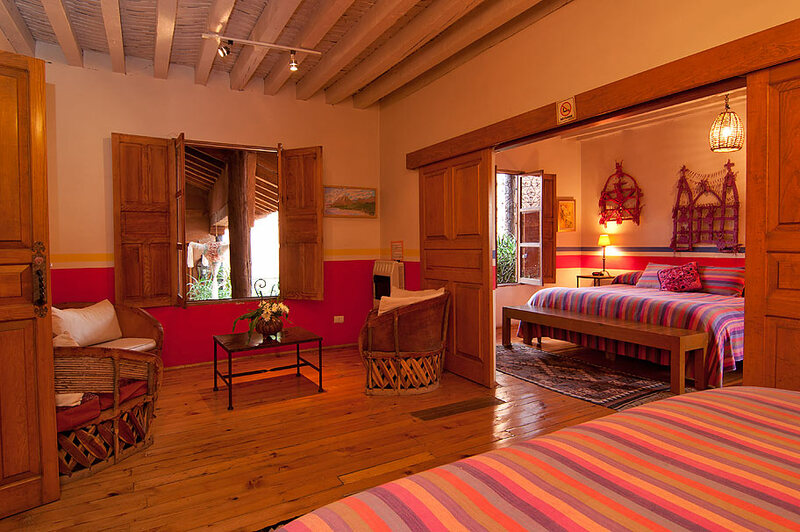 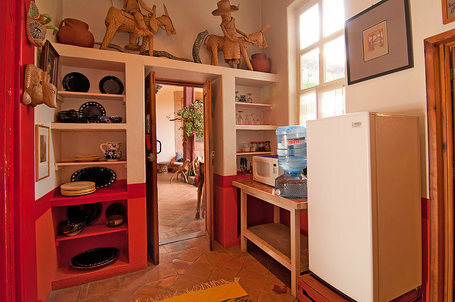 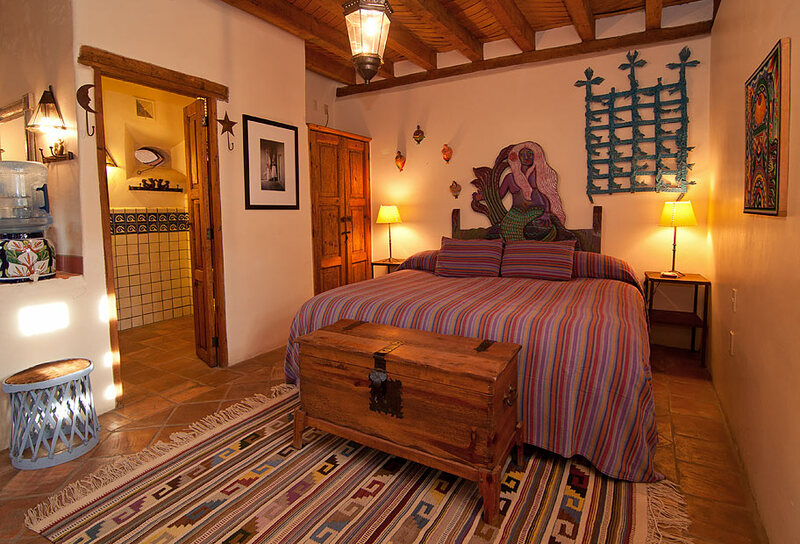 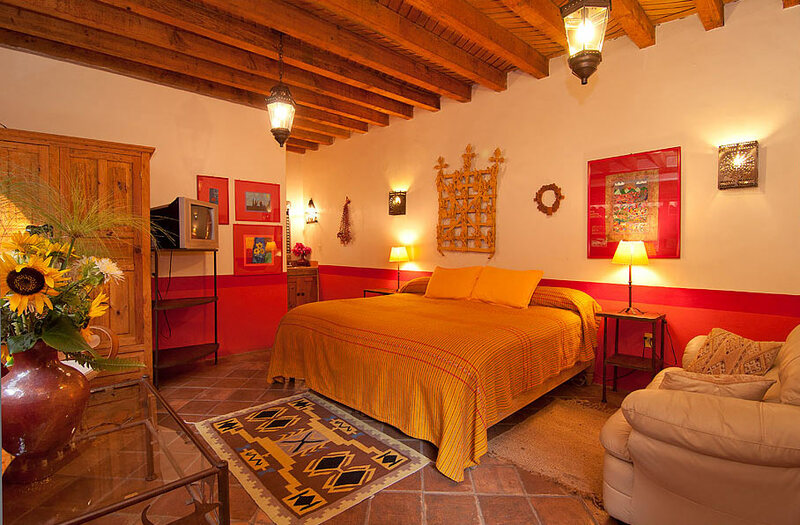 Hotel Casa Encantada is a charming and eclectic B&B filled with original art collected by hotelier Victoria Ryan, who is herself a painter and sculptor. 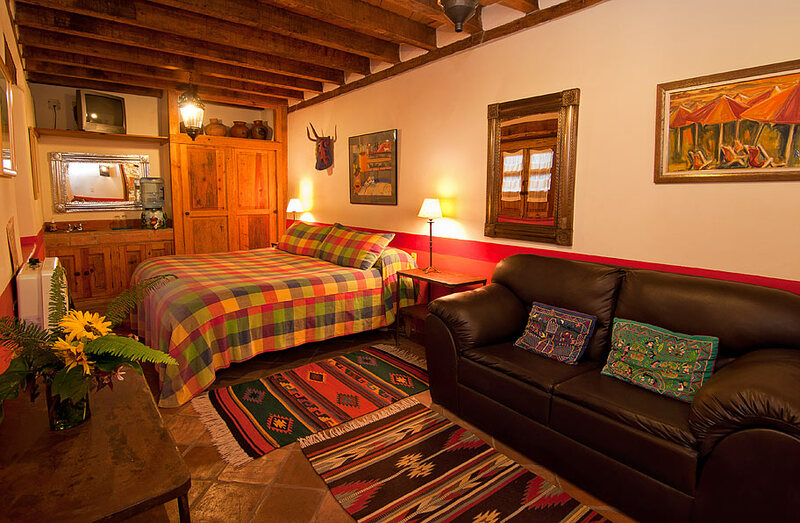 Each room is warmly and colorfully decorated and although each different in size, all have their own fireplace and/or heater, as well as a microwave to heat up the feet warmers available next to each bed. 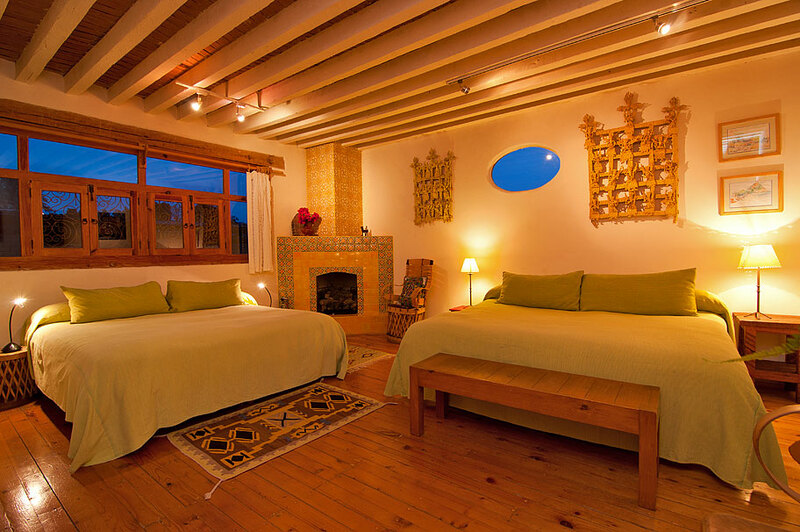 Please choose the room you would like and note that some rooms can easily accommodate two, while others are better suited for one. 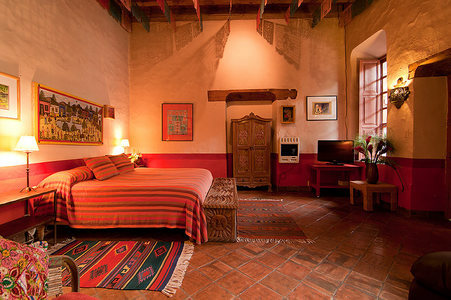 All rooms have king-size beds. 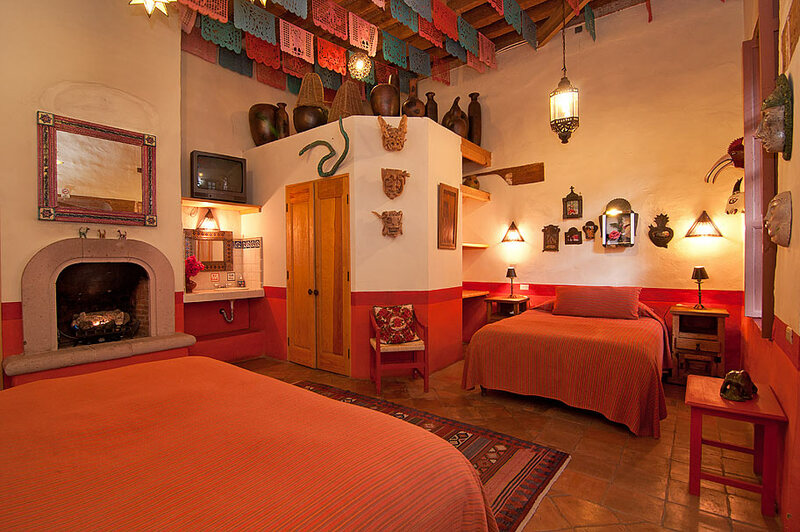 Please click on the link to review all room details before you choose.